Willoughby’s is undergoing a renovation and rebranding. The updated restaurant, Willougbhy’s on Park, will be an upscale steakhouse with a brand new menu when it reopens sometime in late 2015. It was in August of 2011 that the T.G.I. 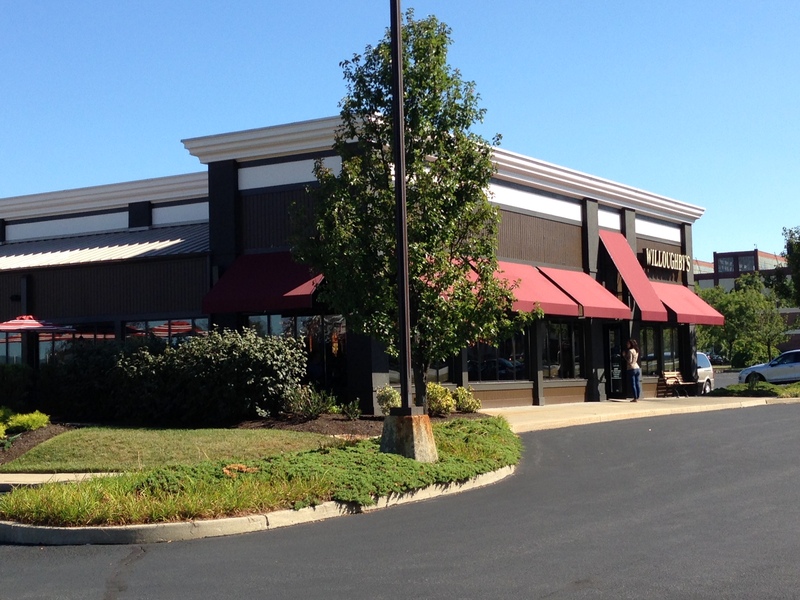 Friday’s location in Wyomissing closed. My new bride and I had just settled in to our new home in the nearby Berkshire Heights neighborhood, and for the next two years, we would pass the vacant building on Park Road wondering if it would ever find a buyer. Then it was announced last June that a buyer had been found and that the owners of the Hitching Post were opening a new restaurant to be called Willoughby’s, in honor of another bygone Wyomissing restaurant. And so the conversations on our walks were no longer about what would go in, but when. We monitored the renovation progress daily. We watched as they transformed the exterior from a hideous swimming pool blue to a deep shade of brown, as the outdoor seating deck was installed, and as the new sign went up. Then in October of last year, the restaurant finally opened, the parking lot was full every night, and our conversation turned from “when will it open” to “when will we go?”. It took nearly a year, but we finally made time for a visit earlier this month. I was hoping to order something a little out of the ordinary so I asked for the Southern fried chicken and waffles, battered and fried chicken breasts served over sweet potato waffle fries with brown ale mustard. After I gave my order to our waitress, another waiter interjected. He had heard my order and wanted to let me know that they did not have any chicken and waffles. In fact, when he tried to place an order for one of his customers, he had been told that they would “never, ever” have them again. He continued by saying that the chef had tried several recipes since the restaurant opened but was unable to find one that he could deliver in a timely fashion, with consistency. Not exactly how I hoped the meal would start. Thankfully I had no such problems with my second choice, the big bang pork chop. 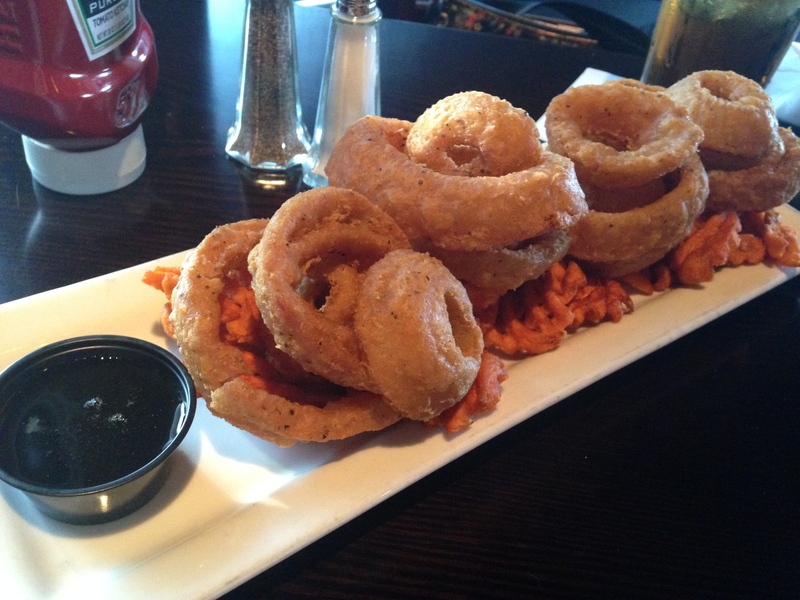 But before that arrived, I was going to get my fried food fix with the sweet potato and pub rings. While rings, and even sweet potato fries, are fairly standard pub offerings, Willoughby’s added a twist on the ordinary with the addition of their spicy maple dipping sauce. The light, sweet syrup had a little hint of heat in its aftertaste, but it really complimented both the sweet potato fries and onion rings very nicely. The only downside (if you can call it that) was that the appetizer was made to feed four, which meant that Julie and I each ate more than our fair share of the fried treats. Sadly, we had to waste a stack in order to save room for our actual meals. And I was glad I saved room. Pork chops are not normally my first choice when dining out (to be fair, they weren’t my first choice here either), but I was sold by jalapeno corn bread, crispy onion straws and Knob Creek Bourbon barbecue sauce. The chop was only lightly coated in the sauce, just enough to give it a little sweetness without the sauce overpowering what was a very flavorful cut of meat. The onion straws were good, but I definitely did not need them after downing all those onion rings. 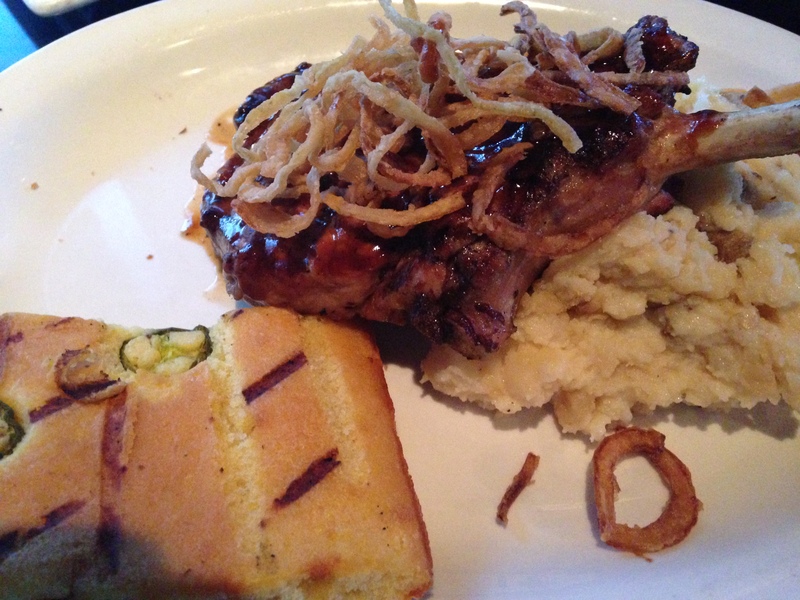 My pork chop was served atop a bed of mashed potatoes, which were prepared from scratch with just enough garlic. On the side, the jalapeno cornbread was quite good, though when I would bite into the slices of jalapeno, it was a bit overpowering. 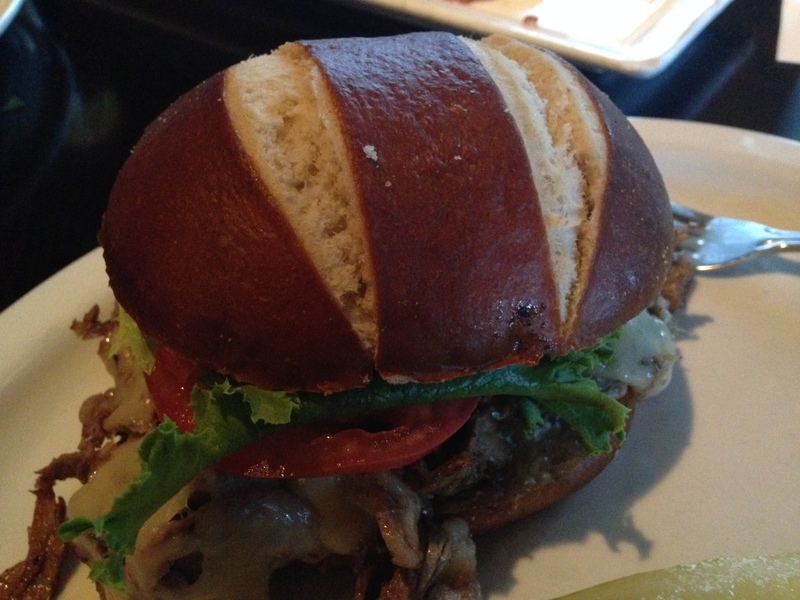 Across the table, Julie decided to go for something a little lighter with their beefin cheddar, a brisket sandwich with caramelized onions, horseradish cheddar and aioli served on a pretzel roll. It was different tasting brisket that wasn’t barbecued, but it was still tender and delicious. The cheese, which melted over everything, had only a small taste of horseradish, which is all it really needed. And you tell me what sandwich doesn’t taste better when it’s served on a pretzel roll. OK, so the only “lighter” part of her meal was that she swapped out her French fries for a house salad. 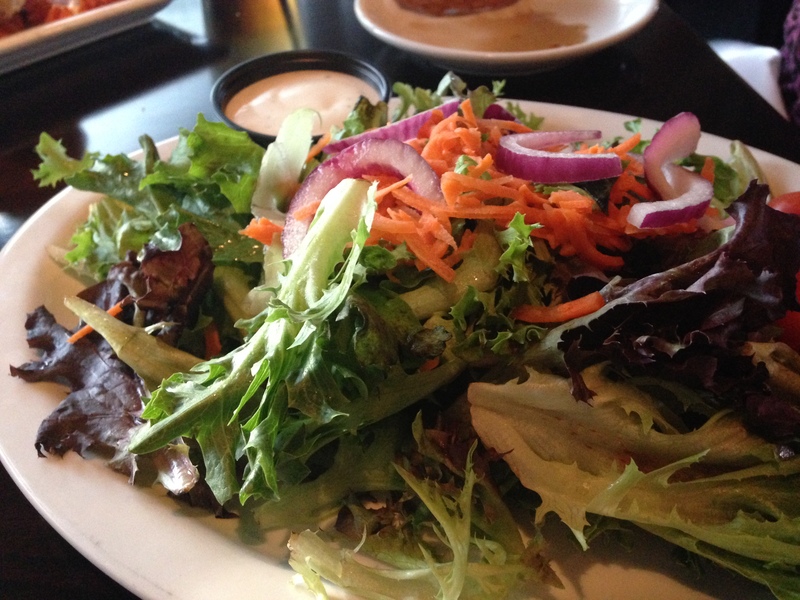 And, like everything else, the side salad was massive and probably would have been a meal in itself. In all, we ended up spending about $40 on our meal, which was not unexpected with our appetizer purchase. I would certainly call it money well spent. 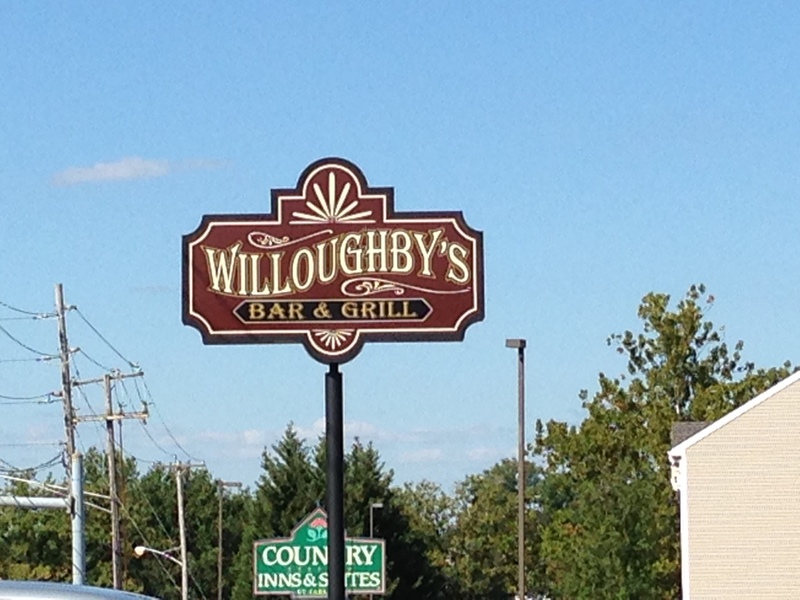 Despite walking past it nearly every day, it took us almost a year to finally stop at Willoughby’s. Now every time we walk past, the conversation will turn from “when are we going to go?” to “when are we going to go again?”.